HOSTEL 64 Osaka : staff blog: Osaka Naniwa Fireworks! We gonna have Fireworks festival in 7th @Osaka Yodo river! Thousand of Fireworks burst across the sky in starbursts of lights. 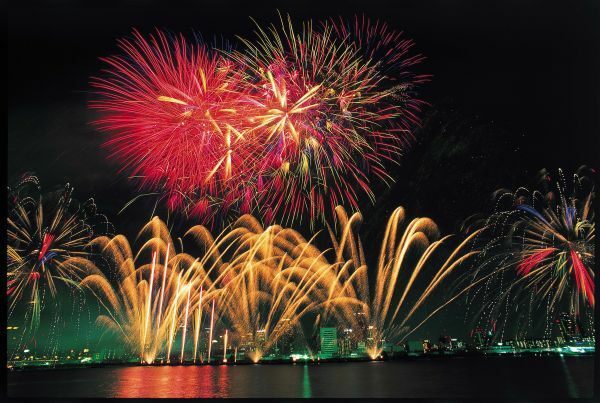 The fireworks came to Japan in 16th century along with arrival of guns and gunpowders. Japan continue to developed most beautiful Fireworks in the world as we call HANABI. Everywhere in Japan even though small town have Fireworks festival in this season. Osaka Naniwa Fireworks festival is one of biggest festival in western Japan. Let's get together and watch it!